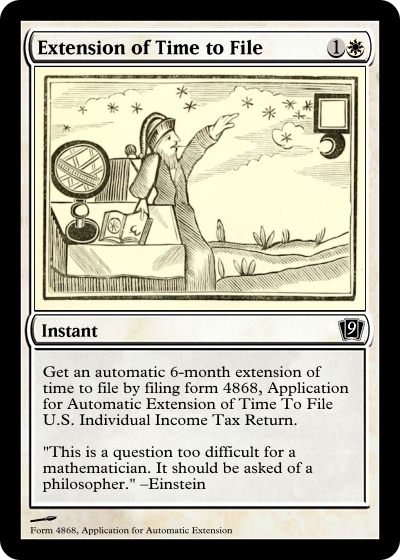 Is the U.S. Tax Code more complicated than Magic: The Gathering? The answer may surprise you! | WorstPlans.com updates every Monday! 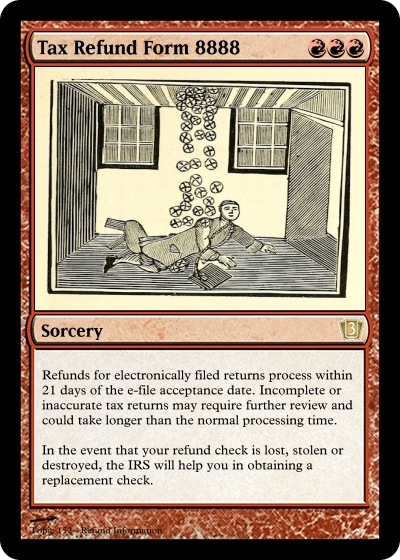 Is the U.S. Tax Code more complicated than Magic: The Gathering? The answer may surprise you! Some games are notorious for having extremely complex rulesets. For example, the card game Magic: The Gathering has pages and pages of additional rules, commentary, and clarification. Is this errata more complicated than the U.S. Tax Code? Probably not. But it might be close! 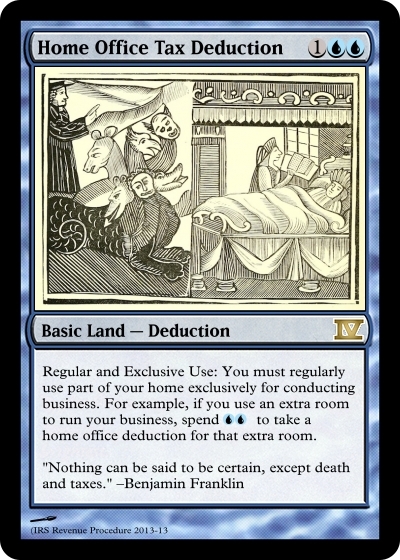 Fig 1: An example card from a hypothetical U.S.-tax-code-based version of Magic: The Gathering. Card designs were generated using the site http://www.mtgcardmaker.com/ . It might be possible to create a solitaire-style card game out of the tax code—causing a player to be tricked into doing their own taxes while playing the game! W2: Input box #2 into this form. Now add that many Molten Lava Swamp Fiend tokens to your deck. 1099-INT: Input box #4 into this form. Add that many Barrier of Woeful Rueing cards to your Fiefdom pile. Clean air car deduction: If you purchased a qualified electric vehicle this year, place a Slithering Chariot card face-down on the Coastal Fortification board. This token is unaffected by HOV lane restrictions. Fig 2: Here are a few more representative cards. With strategic play, you can have fun AND reduce your tax liability at the same time! PROS: Makes taxes fun an accessible, which reduces procrastination. May increase your chance of getting a huge refund! CONS: If you file your taxes this way, you will definitely go to prison.